How do I export Spotify playlists for safekeeping? How to export Spotify playlist to iTunes? Can I import Spotify playlist to Google Play Music? There are various reasons for people to export their favorite playlists from Spotify. Some may want to make a backup; some may desire to switch to a new provider, but don’t want to lose their elaborate playlists. It seems like a super easy job, especially for Spotify Premium users who own the ability to download Spotify songs offline. However, it's actually quite the opposite. The unfortunate reality is that Spotify adopts DRM technology to protect its music, which means that all its users are limited to stream music on Spotify app or its web player only. In other words, even the paid users can’t export Spotify playlist to other media players or music services for enjoyment. That’s totally inconvenience for many users. Luckily, there are a number of brilliant tools came out for getting you out of this dilemma. 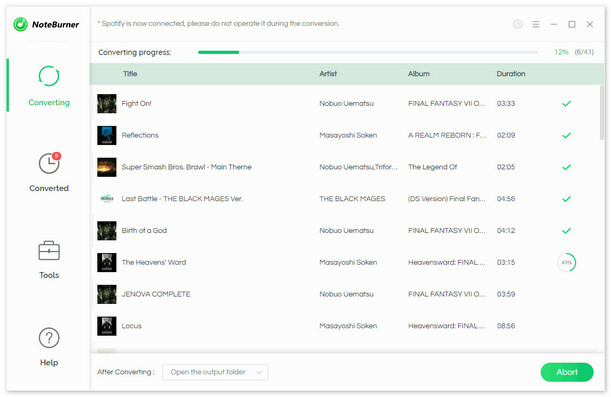 With the help of such tools, you can easily export playlist from Spotify to computer or other devices. 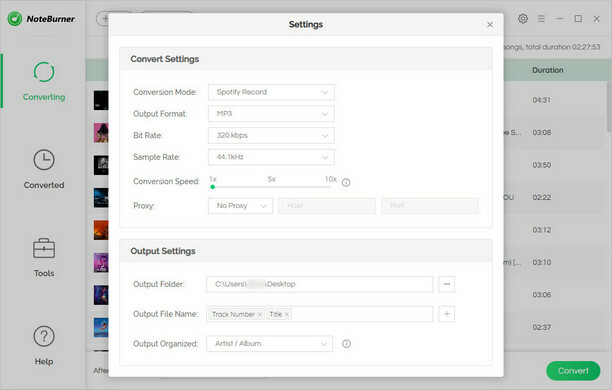 In the following article, we will show you the step-by-step guide on how to export Spotify playlist with the top-ranking exporting tool - NoteBurner Spotify Music Converter. 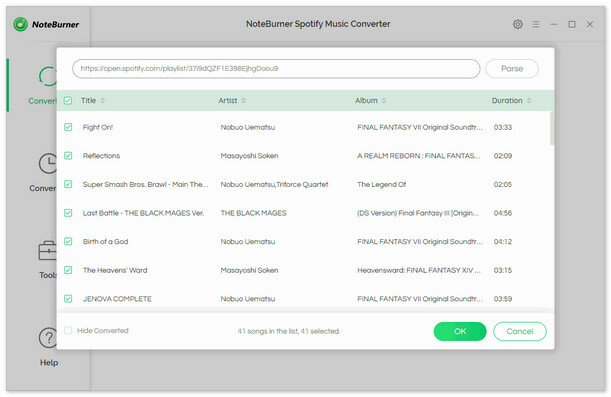 NoteBurner Spotify Music Converter is an all-in-one Spotify music converting tool and a must try for all those users who wish to remove DRM from Spotify track and transfer to others devices or media players like VLC for enjoying. It is built with advanced encoding technology, compatible with both Windows and Mac and supports to perfectly convert DRM-ed Spotify music to plain MP3, AAC, FLAC or WAV format at a fast speed with 100% lossless quality preserved. 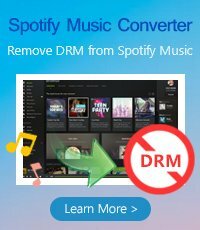 With its help, you can get rid of the restriction of DRM, and transfer Spotify playlist to other players or music streaming services. 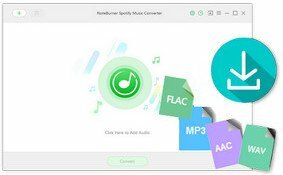 The following is a detailed tutorial about how to remove DRM from Spotify songs and convert to MP3 format with NoteBurner Spotify Music Converter for Windows. Please download this useful tool on your computer first before getting started. 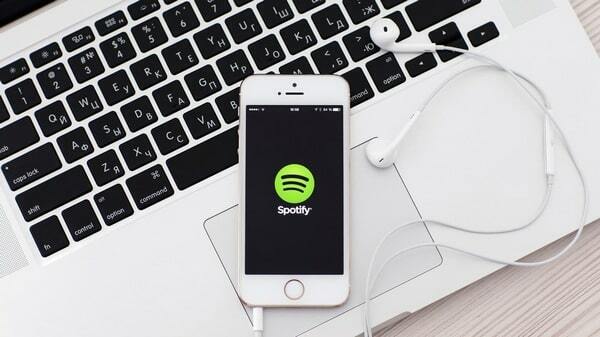 Now, all the Spotify songs are DRM-free MP3 files. You can feel free to export them to other services like iTunes, Google Play Music for enjoying.